The future of oil and gas recovery involves accessing increasingly complex reserves. It involves cost-efficient subsea processing developments, especially for long step-outs, marginal and dispersed fields frequently located in deep and ultra-deep waters. And it involves advanced supporting power supply and distribution technology. That‘s where Siemens comes in. 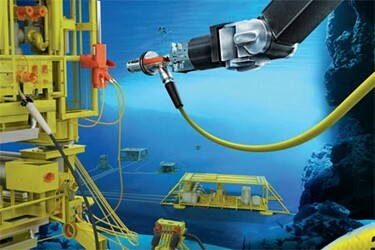 As the technology leader for land-based power generation, transmission, distribution, drives and automation, we supply complete in-field subsea distribution systems, including the solutions experience, expertise and capabilities for configuring complex power transmission to multiple subsea consumers.